In the Genesis account of the Fall, when the Lord asked Adam if he had sinned by eating of the tree of the knowledge of good and evil, Adam immediately pointed the finger at his wife, Eve, as the cause of his disobedience: “And the man said, The woman whom thou gavest to be with me, she gave me of the tree, and I did eat.” Gen. 3:12. The Lord then confronted Eve, who immediately pointed the finger at the serpent: “And the woman said, The serpent beguiled me, and I did eat.” Gen. 3:13. The serpent had no fingers, so he couldn’t point the finger at anyone. What does this have to do with tax law? Aside from the droll assertion of many that the IRS is actually the Infernal Revenue Service that is run by Old Scratch, himself, and Will Rogers witticism on the resulting corruption of the population, “The income tax has made more liars out of the American people than golf has,” it illustrates the tendency of spouses to sometimes blame each other for their malefactions. What is involved in successfully claiming innocent spouse relief? When a married couple files a joint income tax return, the spouses are jointly and severally liable for any tax debt for the given tax year. What does this mean? They are jointly liable as a marital unit ― probably not a surprise to you ― meaning that the IRS can go after them as a couple. Thus, both spouses on a married filing jointly return are generally held responsible for all the tax due even if one spouse earned all the income or claimed improper deductions or credits. This is also true even if a divorce decree states that a former spouse will be responsible for any amounts due on previously filed joint returns. Topic 205 – Innocent Spouse Relief (Including Separation of Liability and Equitable Relief)). However, under the innocent spouse relief, one spouse can be relieved of joint and several liability. I have had clients tell me horror stories about their estranged and former spouses. “He’s so evil that he makes Hitler look good.” “She’s a termagant and a harpy, and she ate our children for lunch.” That last one’s a bit of an overstatement. It turns out that she would never actually eat children in the middle of the day ― too rich, makes one feel sluggish ― she ate them for dinner, with a lovely Bordelaise sauce. Okay, perhaps we should leave the Jeffrey Dahmer humor in the rear view mirror for the rest of this post. Does the inherent nastiness of one’s spouse/estranged spouse/ex-spouse satisfy the requirements for relief? Not quite. (E) the other individual elects (in such form as the Secretary may prescribe) the benefits of this subsection not later than the date which is 2 years after the date the Secretary has begun collection activities with respect to the individual making the election, then the other individual shall be relieved of liability for tax (including interest, penalties, and other amounts) for such taxable year to the extent such liability is attributable to such understatement. If an individual who, but for paragraph (1)(C), would be relieved of liability under paragraph (1), establishes that in signing the return such individual did not know, and had no reason to know, the extent of such understatement, then such individual shall be relieved of liability for tax (including interest, penalties, and other amounts) for such taxable year to the extent that such liability is attributable to the portion of such understatement of which such individual did not know and had no reason to know. • You filed a joint return that has an understatement of tax (deficiency) that is solely attributable to your spouse’s erroneous item. Topic 205 – Innocent Spouse Relief (Including Separation of Liability and Equitable Relief). As you may have noticed, 26 U.S.C. § 6015(b)(1)(E) has a chronological requirement as well: You must request innocent spouse relief no later than two years after the date the IRS first attempted to collect the tax from you. As we will see in the discussion below, per 26 U.S.C. 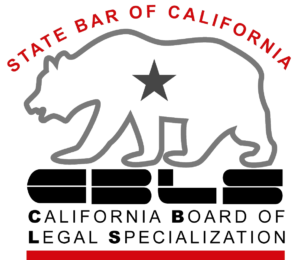 § 6015(c)(3)(B) separation of liability relief also has a two-year statute of limitations. However, equitable relief does not have the two-year filing requirement. Except as provided in this subsection, if an individual who has made a joint return for any taxable year elects the application of this subsection, the individual’s liability for any deficiency which is assessed with respect to the return shall not exceed the portion of such deficiency properly allocable to the individual under subsection (d). Except as provided in subparagraph (A)(ii) or (C) of paragraph (3), each individual who elects the application of this subsection shall have the burden of proof with respect to establishing the portion of any deficiency allocable to such individual. (II) such individual was not a member of the same household as the individual with whom such joint return was filed at any time during the 12-month period ending on the date such election is filed. (ii) Certain taxpayers ineligible to elect. If the Secretary demonstrates that assets were transferred between individuals filing a joint return as part of a fraudulent scheme by such individuals, an election under this subsection by either individual shall be invalid (and section 6013 (d)(3) shall apply to the joint return). An election under this subsection for any taxable year may be made at any time after a deficiency for such year is asserted but not later than 2 years after the date on which the Secretary has begun collection activities with respect to the individual making the election. If the Secretary demonstrates that an individual making an election under this subsection had actual knowledge, at the time such individual signed the return, of any item giving rise to a deficiency (or portion thereof) which is not allocable to such individual under subsection (d), such election shall not apply to such deficiency (or portion). This subparagraph shall not apply where the individual with actual knowledge establishes that such individual signed the return under duress. You have not been a member of the same household as the spouse with whom you filed the joint return at any time during the 12-month period ending on the date you request relief. If at the time you signed the joint return you had actual knowledge of the item that gave rise to the understatement of tax, you do not qualify for separation of liability relief. Notice that unlike innocent spouse relief in which you must meet all of the requirements to be eligible, in separation of liability relief you only have to satisfy one of the of the listed requirements. And as previously noted, there is a two-year statute of limitations for seeking separation of liability relief. (2) relief is not available to such individual under subsection (b) or (c), the Secretary may relieve such individual of such liability. To qualify for equitable relief, you must establish that under all the facts and circumstances, it would be unfair to hold you liable for the understatement or underpayment of tax. In addition, you must meet the other requirements listed in Publication 971, Innocent Spouse Relief. • You are not eligible for innocent spouse relief or separation of liability relief. • You filed a joint return for the tax year(s) at issue. • You timely filed your claim for relief. • You and your spouse (or former spouse) did not transfer assets to one another as a part of a fraudulent scheme. A fraudulent scheme includes a scheme to defraud the IRS or another third party, such as a creditor, former spouse, or business partner. • Your spouse (or former spouse) did not transfer property to you for the main purpose of avoiding tax or the payment of tax. See Transfers of Property To Avoid Tax, earlier, under Separation of Liability Relief. • You did not knowingly participate in the filing of a fraudulent joint return. • The income tax liability from which you seek relief is attributable (either in full or in part) to an item of your spouse (or former spouse) or an unpaid tax resulting from your spouse’s (or former spouse’s) income. If the liability is partially attributable to you, then relief can only be considered for the part of the liability attributable to your spouse (or former spouse). The IRS will consider granting relief regardless of whether the understated tax, deficiency, or unpaid tax is attributable (in full or in part) to you if any of the following exceptions apply. In evaluating whether a requesting spouse knew or had reason to know her nonrequesting spouse would not pay the tax liability, the IRS considers the level of education attained by the requesting spouse, any evasiveness or deceit by the nonrequesting spouse, how involved the requesting spouse was in the activity generating the income tax liability, the requesting spouse’s involvement in financial matters of the household, her business or financial expertise, and any lavish or unusual expenditures compared to past spending levels. Pullins v. Commissioner, 136 T.C. 432, 444 (Tax Court 2011) (quoting Rev. Proc. 2003-61, sec. 4.03(2)(a)(iii)(C), 2003-2 C.B. at 298). You might be tempted to hope that as long as your spouse’s malfeasance is the sole cause of the tax liability, you’re home free. However, the spouse’s wrongdoing is not enough by itself. Every statutory requirement must be satisfied. For example, in Christensen v. CIR, 523 F. 3d 957 (9th Cir. 2008) the Ninth Circuit heard an appeal from the Tax Court by a taxpayer who sought innocent spouse relief under the innocent spouse statute, 26 U.S.C. § 6015, but had not filed a joint return. The taxpayer lost, in part, because the statute starts with the statement: “. . . an individual who has made a joint return may elect to seek relief under the procedures prescribed under subsection (b).” 26 U.S.C. § 6015(a) (emphasis added). In this post I have only scratched the surface of the three types of relief for spouses. And as you can see from the post, the topic is complicated, and involves detailed planning. Don’t go it alone. Hire a highly skilled bankruptcy and tax debt resolution attorney to get you the relief to which you are entitled.